We've noticed that more and more people and LH groups are now using Facebook as means of communicating with others. We've had this blogsite for a number of years and it has proved very useful and popular but in an effort to reach out further we've made the decision to create a brand new Facebook page! The blogsite will remain active but we won't be updating it from this point forward and it will instead become an online archive. From now on we will be updating the FB page, although we might resurrect some of the blogsite material in order to share it with new friends on Facebook. Please feel free to 'like' the Facebook page and become a friend of the group in order to stay up to date with our activities. 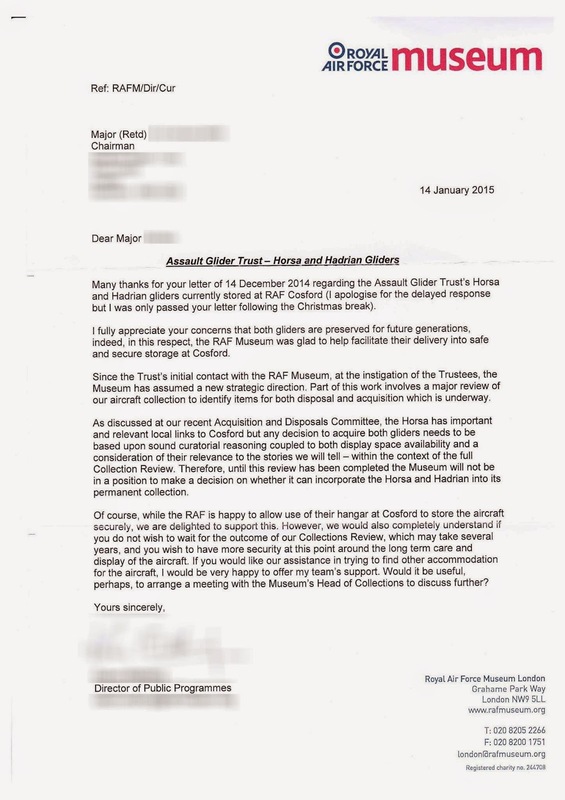 So what's the connection between XXI Independent Parachute Company and the Glider Pilot Regiment?... All will be revealed in the fulness of time. I actually visited this memorial last year on a journey back from Shrewsbury but only just found the photos on my phone. Tatton Park in Cheshire was the original drop zone for parachute drops from nearby Ringway Airfield (the home of No.1 Parachute Training School [No.1 PTS] of the Central Landing School) which later became Manchester Airport we know today. 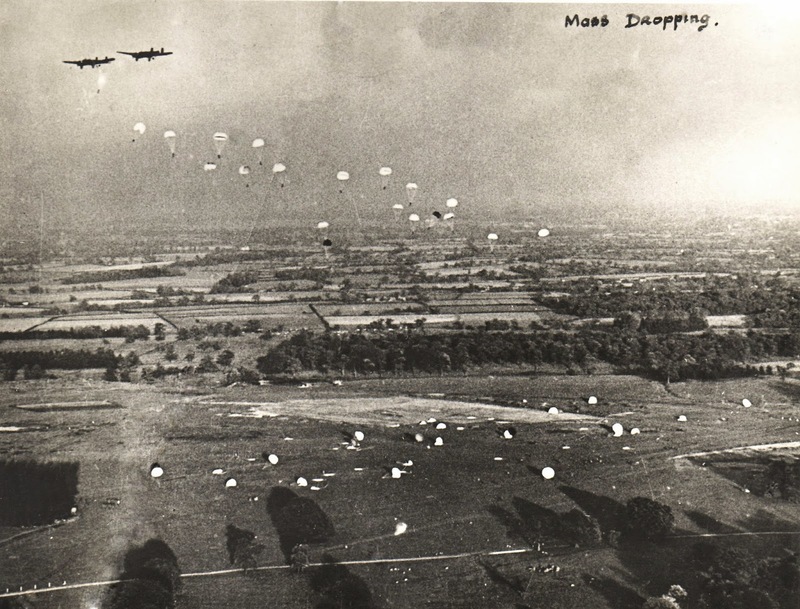 Between 1940 and 1946 Ringway provided training to 60,000 allied paratroops including Americans, Belgians, Canadians, Czechs, Dutch, French, Norwegian and Poles. The memorial sits in the grounds of Tatton Park and overlooks the surrounding countryside, a very nice spot indeed. No.1 Parachute Training School, Ringway. As the men of the Glider Pilot Regiment were known as Total Soldiers there were even plans for pilots to attend No.1 PTS and become qualified parachutists! As far as I can find out this scheme was short lived although certain individuals may have completed the course - if anyone has any details or information please get in touch with us. On Monday 23rd March I travelled down from Leeds to Marks Hall in Essex, met up with friends to pay our respects to the men of the Glider Pilot Regiment, British 6th Airborne Division, RAF and their U.S. Counterparts who took part in the largest (one day) Airborne invasion in history. Some of us spent the night at the White Hart Hotel and Inn in Coggeshall then after a hearty breakfast we headed up to Marks Hall Estate Arboretum for a welcome coffee and a catch up with other GPRA members and friends. Attendance at the service was superb, with veterans and their families, family members of veterans who are no longer with us, The Army Air Corps honour guard, military band and of course members of the British Legion. A fly past of two Apache helicopters added to the ceremony and the weather behaved itself well. Afterwards, we all made our way down to the visitor centre for an excellent curry provided by the AAC catering staff. And over a coffee we made new friends and caught up with others. My journey back up to Leeds was long but uneventful (as all good motorway journeys should be) and I'm looking forward to seeing everyone again at the National Arboretum in May. I forgetfully left my camera at home so was limited to using my iPhone to record the day. "No! They were designed to be crash landed, can you believe that?!" 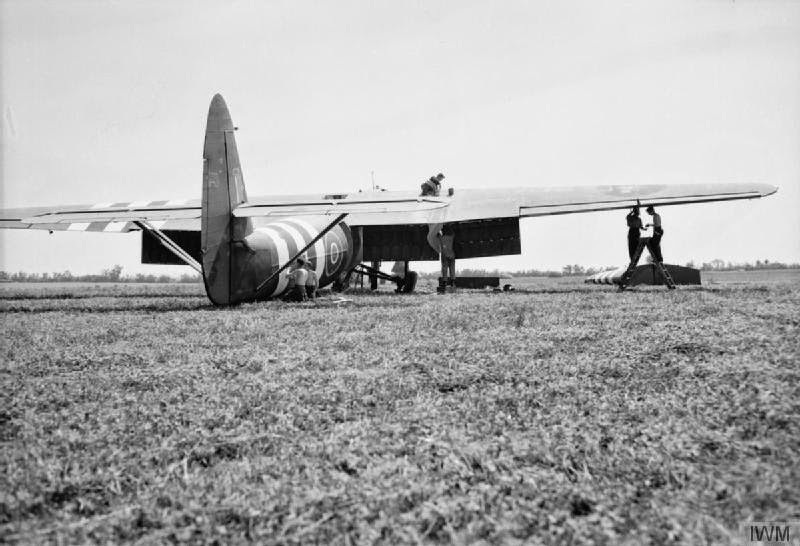 Men of a Detachment of the Heavy Glider Servicing Unit repairing a damaged Airspeed Horsa in a field near St Aubin-d'Arquenay, Normandy. Photo courtesy of IWM. 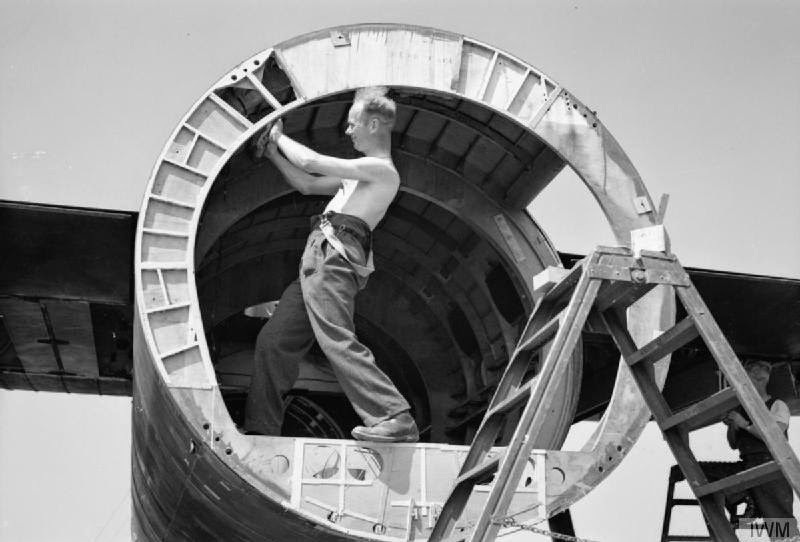 A carpenter of a Detachment of the Heavy Glider Servicing Unit repairing the centre fuselage bulkhead of a damaged Airspeed Horsa in a field near St Aubin-d'Arquenay, Normandy. Photo courtesy of IWM. 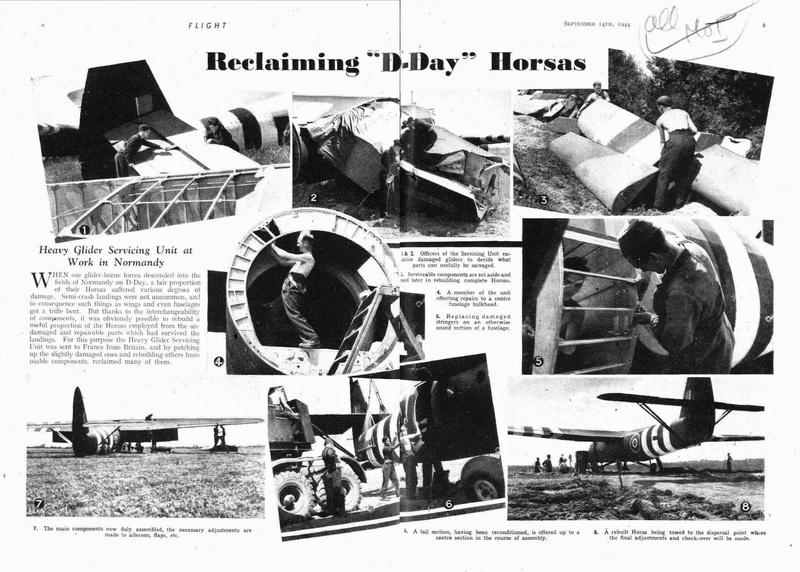 Image courtesy of Flight Magazine Archive as previously reported on this site. 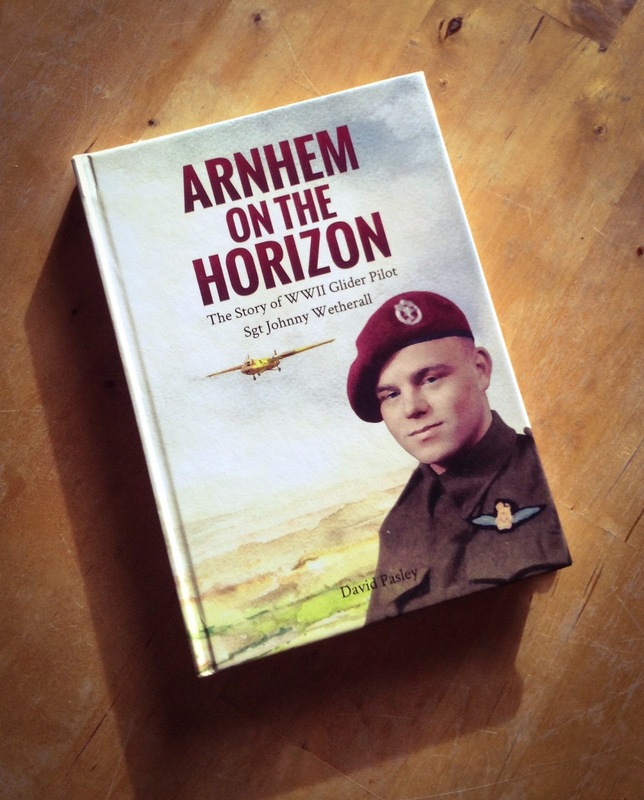 Countless books have now been written about Operation Market Garden, more generally referred to as 'Arnhem', that it would be easy to dismiss any new projects as unnecessary. However, in this instance, that would be a great mistake. Here, David Pasley tells the story of his Grandfather Sgt. Johnny Wetherall a member of the Glider Pilot Regiment who took part in one of the most famous battles in modern history. I found it easy to read without being dull, informative without being stodgy and extremely moving. Many books written so long after the war can be rather removed from the human element of warfare, refreshingly David paints a fully rounded picture of his Grandfather which makes a refreshing change. The book explains the overall plan of action for the battle and interlaces Sgt. Wetherall's experiences throughout, including the uncertainty of capture. I'm fortunate to have many books relating to Market Garden, the Glider Pilot Regiment and British Airborne Forces as well as general Second World War accounts, I'm more than happy to sit this book alongside any of those on my bookshelves. You should be too.